No, I have not abandoned this project. Over the past few months I have managed to work on this game several times a week. In fact I am at the place that I've created a physical play test copy. I am pretty happy with the game mechanics. As I said when starting out I planned on using Avalon Hill's Victory In the Pacific/War At Sea games as the base mechanics; patrol and raiding ships; control of sectors, bases, ports. that has worked out pretty well. On a strategic level naval warfare and starship combat are very similar. One of the major differences is the types of ships. In VIP there are only two types; carriers and regular surface vessels. I wanted a larger variety in my game. So each class has something different about it, but still keeps play simple. For instance destroyers may change the attack allocation of attacking force if they are unengaged - making a little ship a real nuisance. Scouts are able to stop cloaked vessels from moving through controlled sectors or disengaging with out pursuit, and provide an attack bonus to all ships in the sector if the other side doesn't have its own scouts. Fleet Repair Docks can repair a number of repair points between combat rounds, thus making them a prime target, and proving the importance of destroyers. What I wanted was need to make balanced forces. and construction bases, battle area. I also added an economic component. In VIP forces are determined by the historical events. 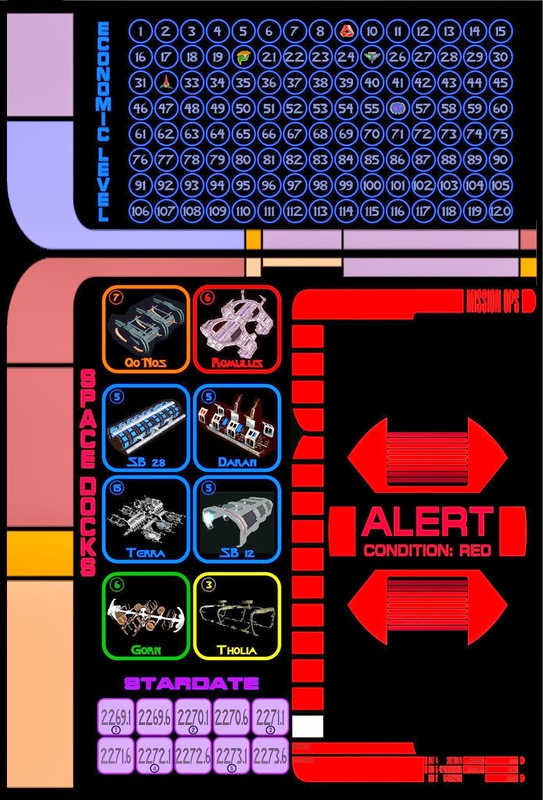 In Star Fleet Command there is no history so after the first turn (in which ships forces are given), control of sectors and planets are important for income to repair ships and purchase new ones; as well as victory conditions. Plus this gives players a chance to determine their fleet build up. One thing that players can purchase (except the Federation) are Orion pirate raids. These work like subs in VIP, but more of them. They allow Klingon and Romulan forces to attack deep within Federation space, and can really mess up the economy. The Federation can of course occupy Regulus to stop the pirate, but that keeps Regulus from providing income. 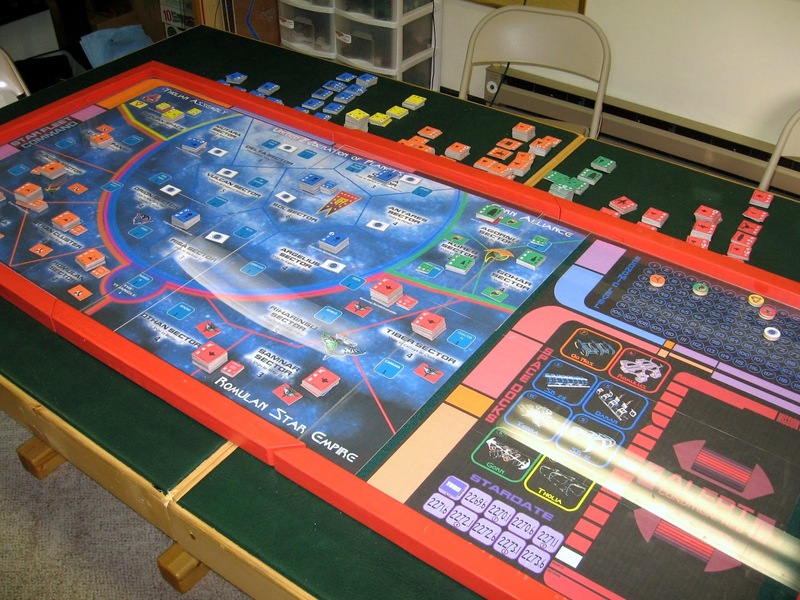 The game is designed for two or three (up to five is possible) with the Klingon and Romulan player(s) versus the Federation. 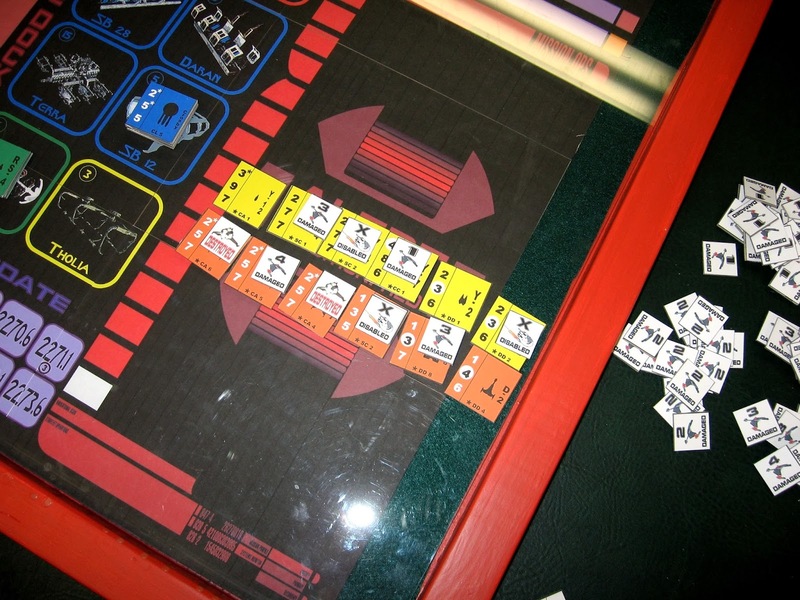 The Gorn and Tholian can be played by a forth and fifth player, but they are really designed to work targets for the Klingon and Romulan sides. The Federation player runs them, but they can't move beyond their borders until invaded by the Klingons or Romulans. Which has always happened for the "easy" economic boost. Of course once that happens the chance for Federation intervention increases - allowing the Federation player to take full control of the Gorn and/or Tholian forces, providing economic aid, and moving Federation ships through their space. Another aspect of the game I wanted to achieve was the feel of Star Trek TOS. I didn't want this to become a total war game. There is a feel to the Federation, and to the Klingons and Romulans also, that keeps total war from happening (besides the Organians.) So the Federation cannot enter Klingon or Romulan space unless certain conditions are met. Basically, as long as a limited number of raids are made in Federation space along the Neutral Zone then the Federation player can only push the invaders back to the Neutral Zone. Sherman's Planet, Eden, and the Triangle become hot spots early in the game since these are areas that provide income and victory points without causing a full out war. Of course the Klingon and Romulans don't usually stay content with raids along the Neutral Zone - they can't win that way anyway. Right now I am working on balancing the force for each side. The Federation has been having a lot of problems controlling its space. The different types of ships have been working well, as have planetary invasions and raids. I just need to get the number of ships correct at this point.